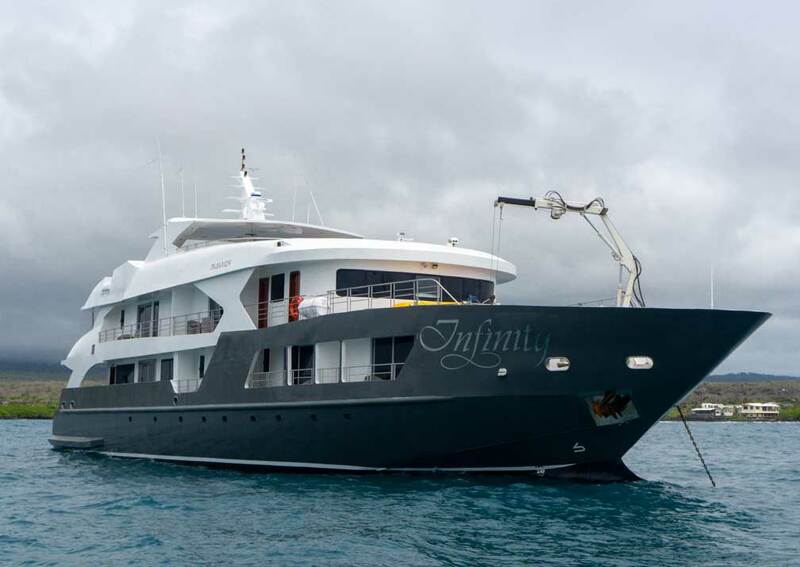 Infinity is a stylish vessel, eye-catching as she cruises the waters of the Galapagos. 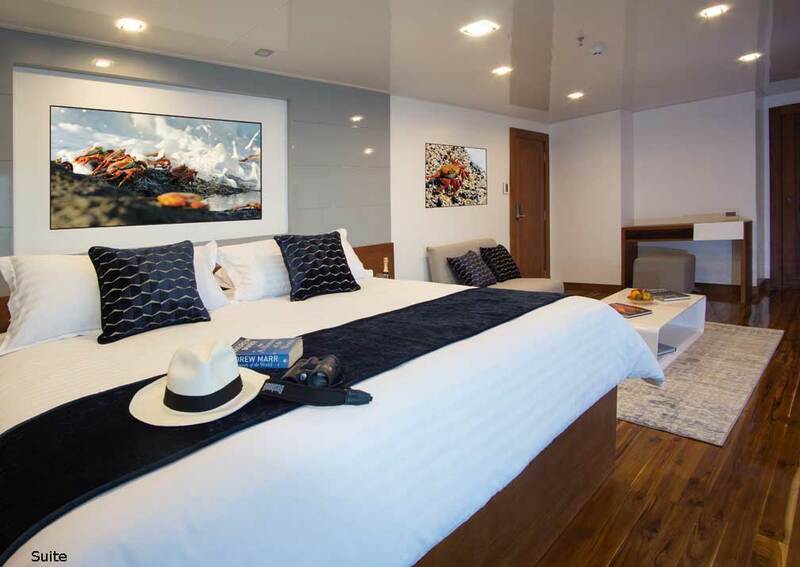 There are just 8 double cabins and 2 double suites arranged between the main and upper decks, each with its own private balcony. 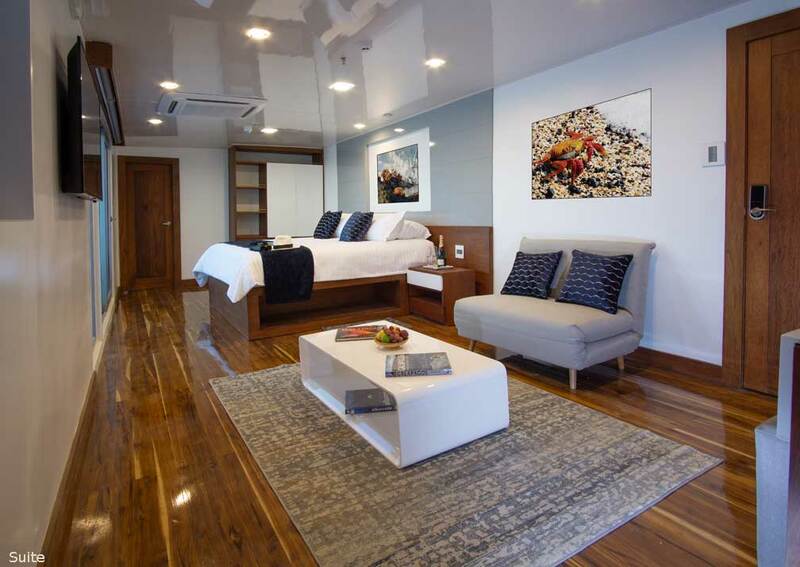 The interiors have been designed and finished to a high standard with polished wooden floors, stylish furniture and large floor-to-ceiling glass sliding doors which lead out to your balcony. 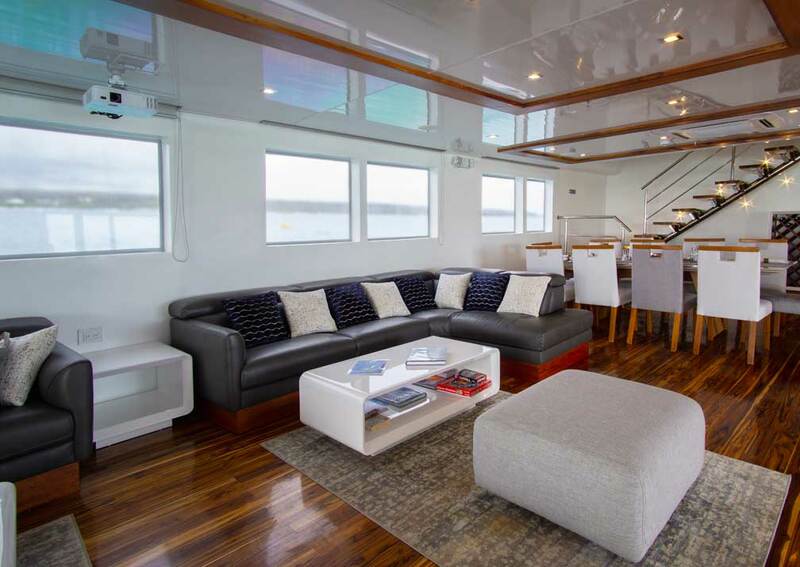 The main deck houses the open plan lounge and dining room. 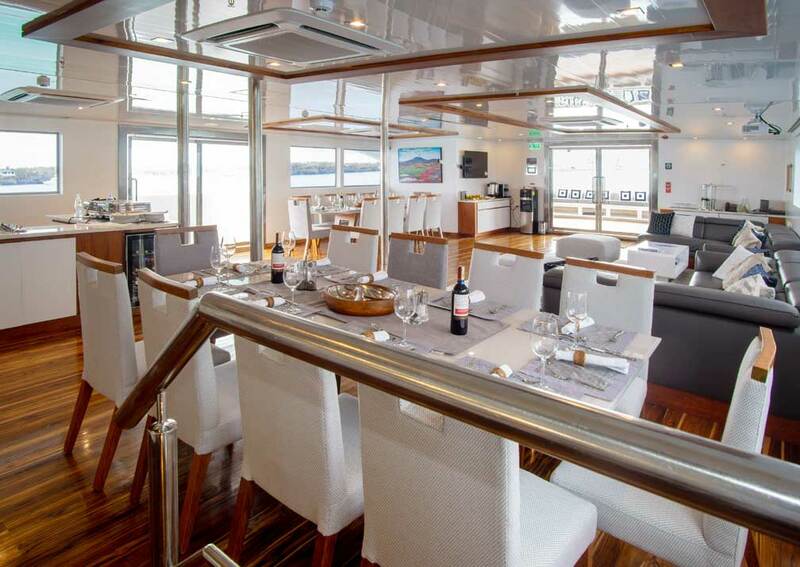 Windows on both sides ensure plenty of light floods the area, and guests can enjoy the views. There’s a small library with some interesting reading material. 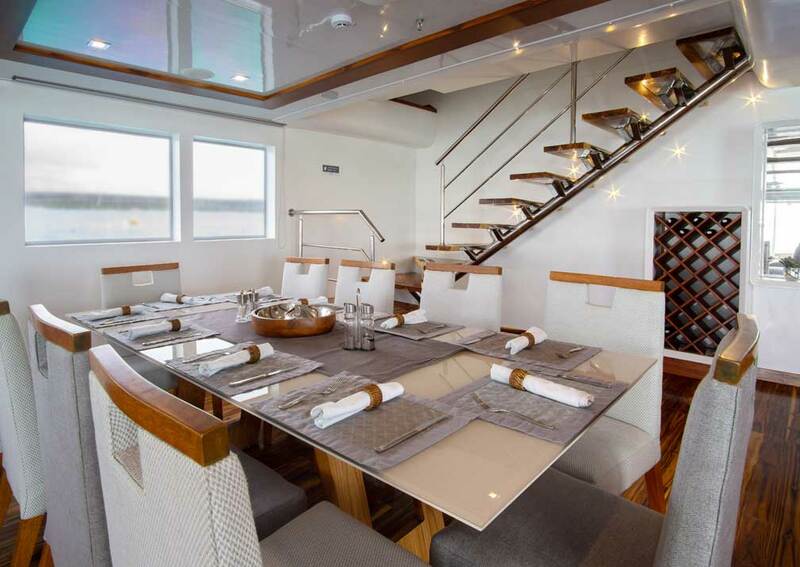 Steps lead up to the indoor bar area where you will find more comfy seating. 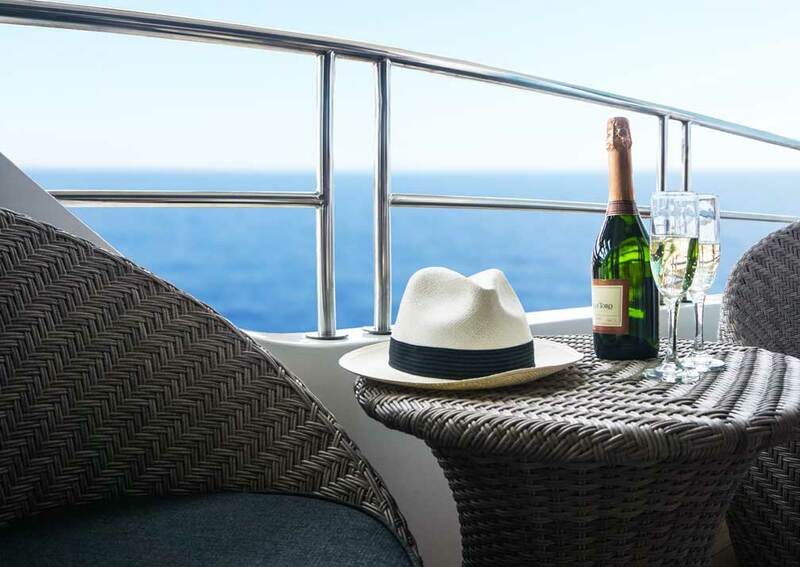 From here you can access the spacious sun deck and al fresco dining area. 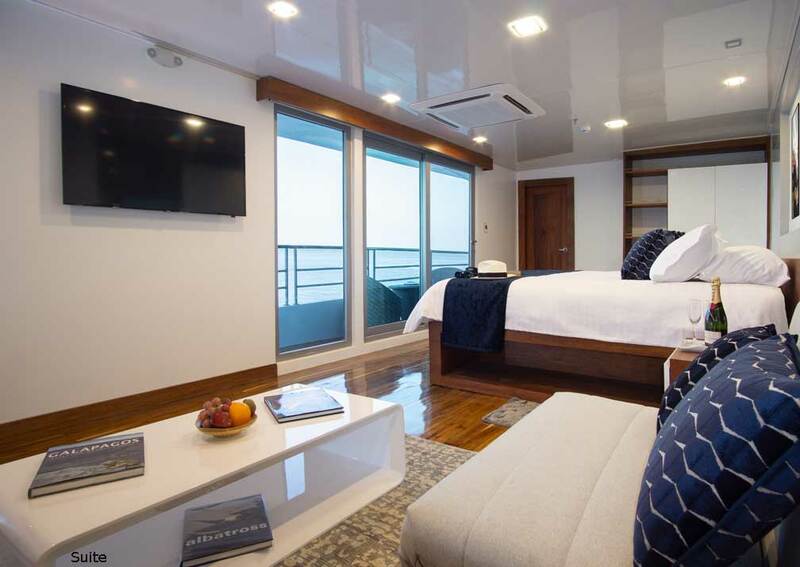 It’s the perfect place to spend a little time outdoors while the vessel is making its way from A to B, the Jacuzzi is also situated on the sundeck. 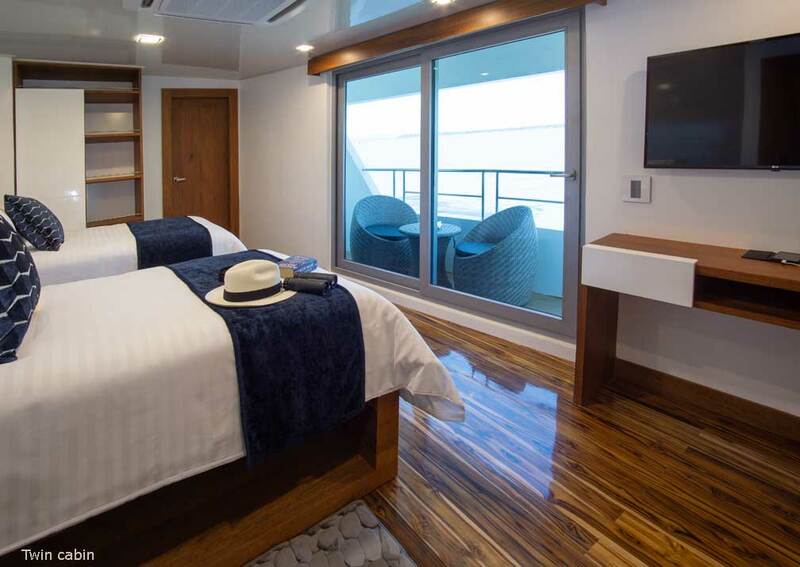 Infinity offers 4, 5 and 8 day cruises. 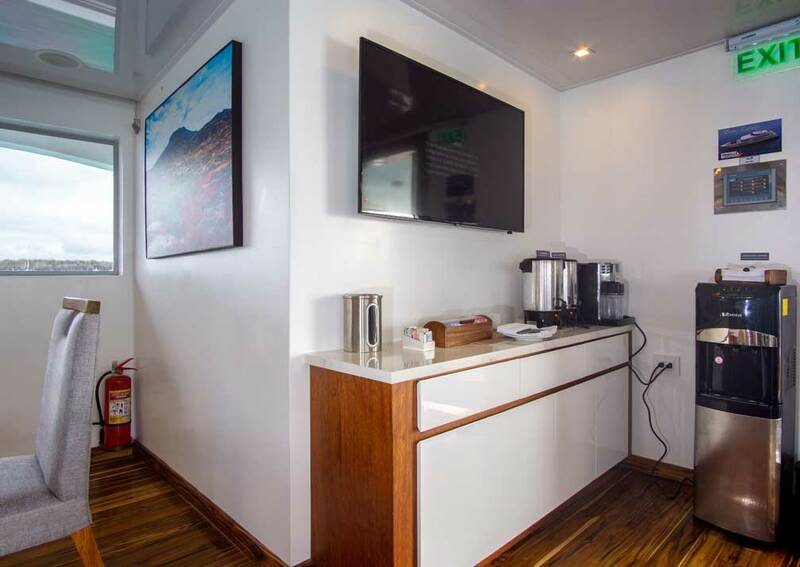 All cabins are air conditioned and have en-suite bathrooms with hot and cold water, a shower, hand basin and flush toilet. 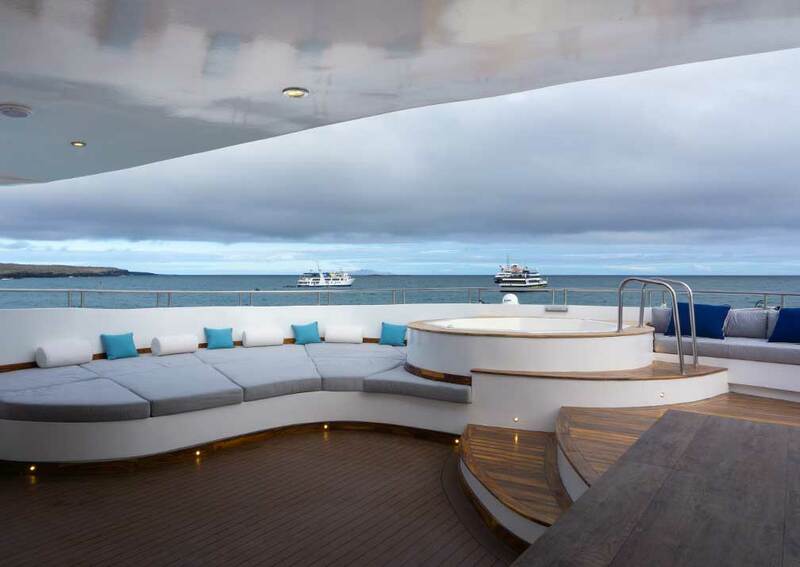 Each has its own balcony. 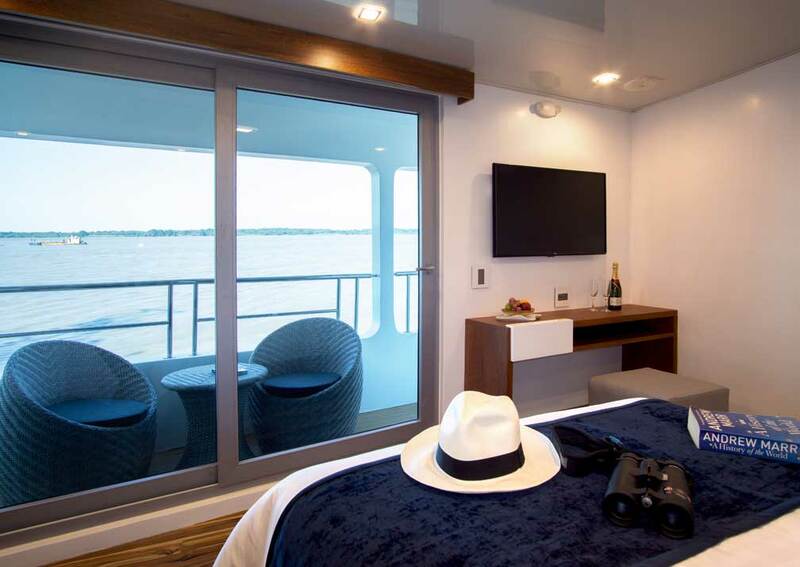 There are 6 cabins on the main deck, all with portholes. 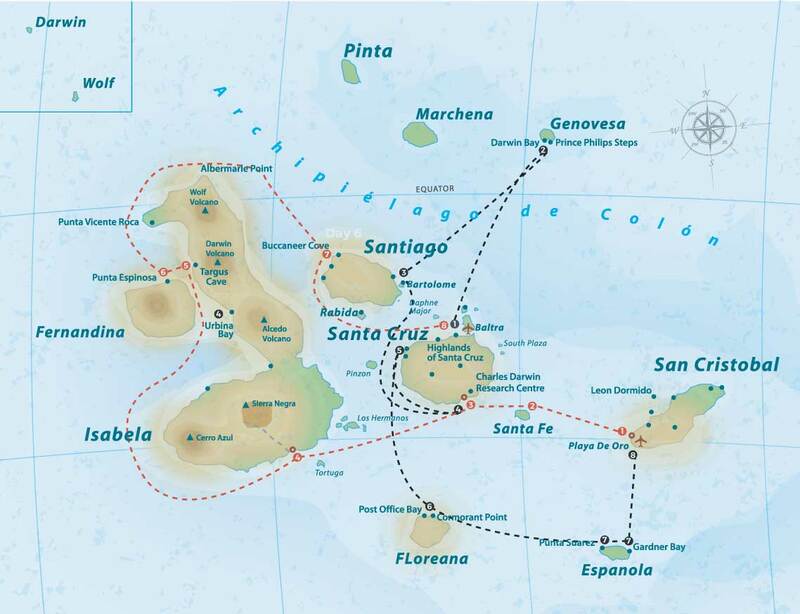 They vary slightly in size from 21 to 25 square metres. 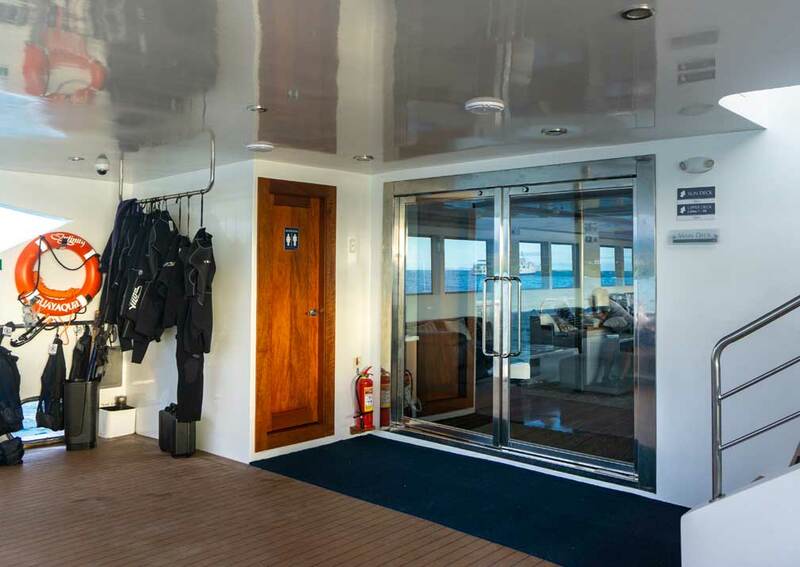 The upper deck houses 2 more cabins of 22 and 23 square metres, and the 2 suites of 32 and 25 square metres. 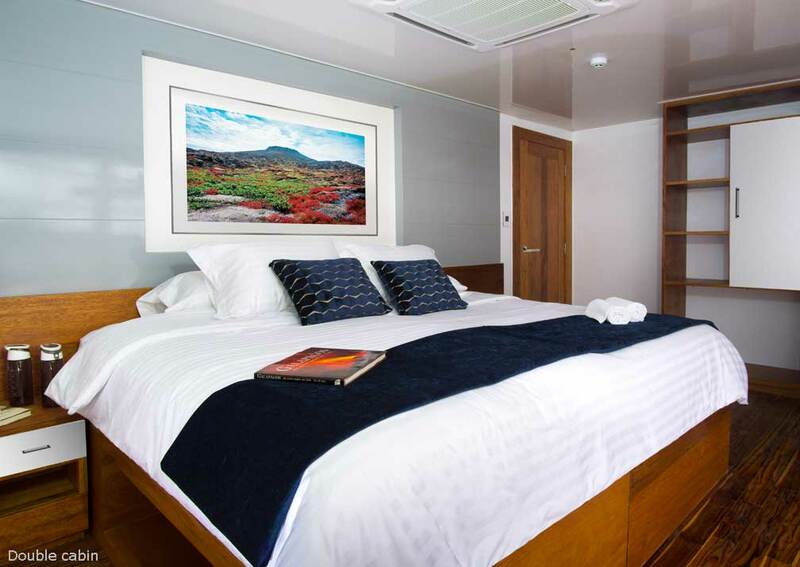 Accommodation: 8 cabins and 2 suites, arranged over 2 decks. 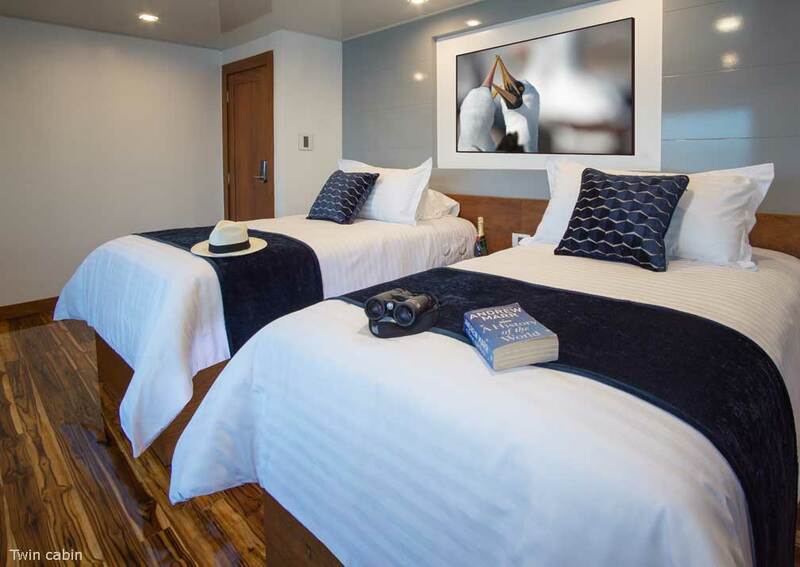 The cabins have twin beds and the suites are doubles. 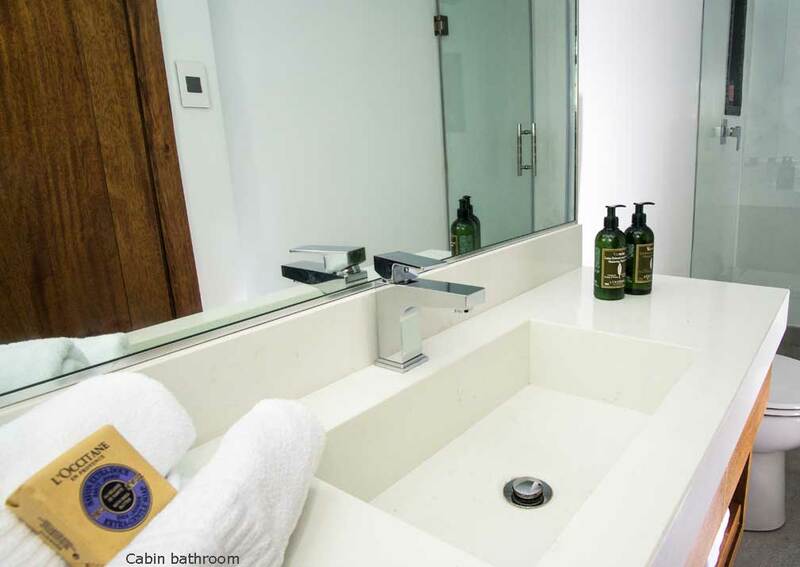 All are en-suite and air conditioned and have a private balcony. 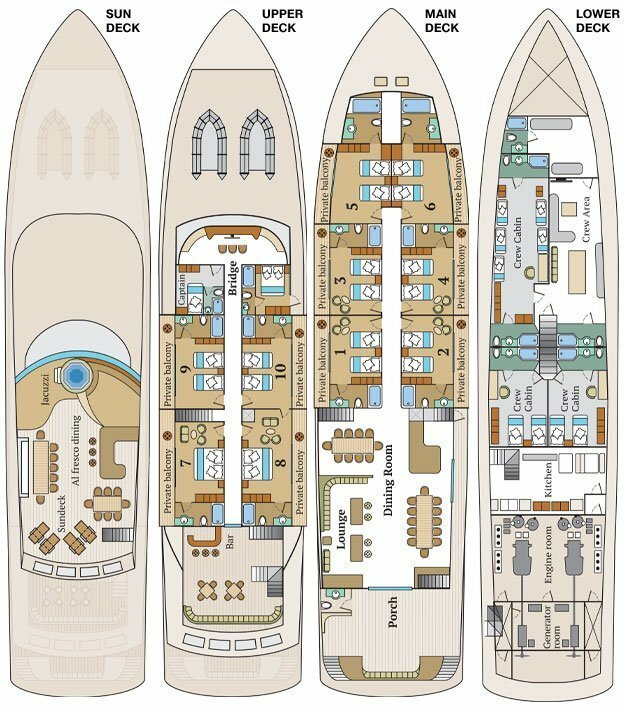 On Board: On the main deck there is a lounge with a wraparound sofa, library, a dining area, coffee station, buffet area and bar. 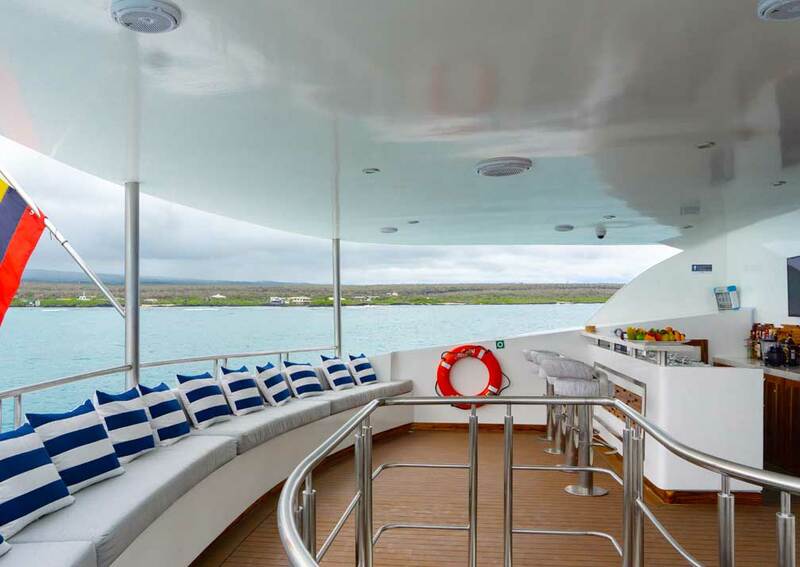 A second bar is located on the upper deck. 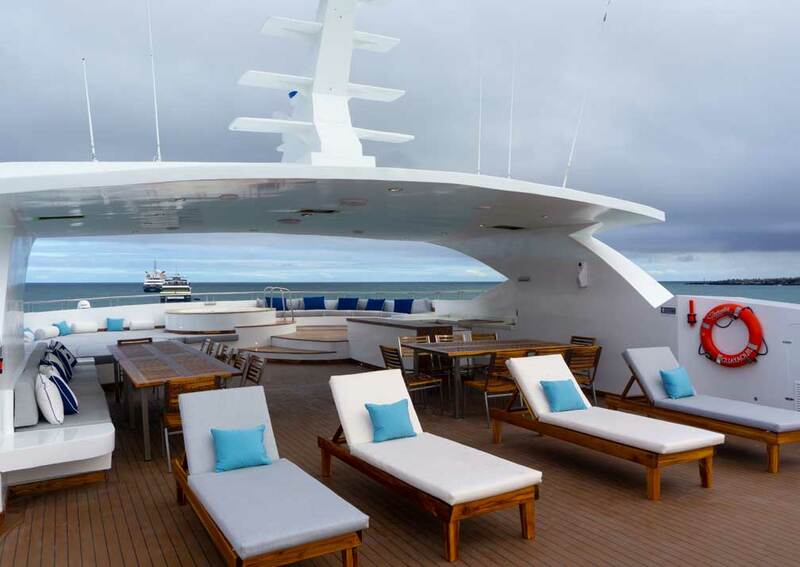 The sundeck has a seating area for outdoor dining and relaxing, a sunbathing area and a jacuzzi.